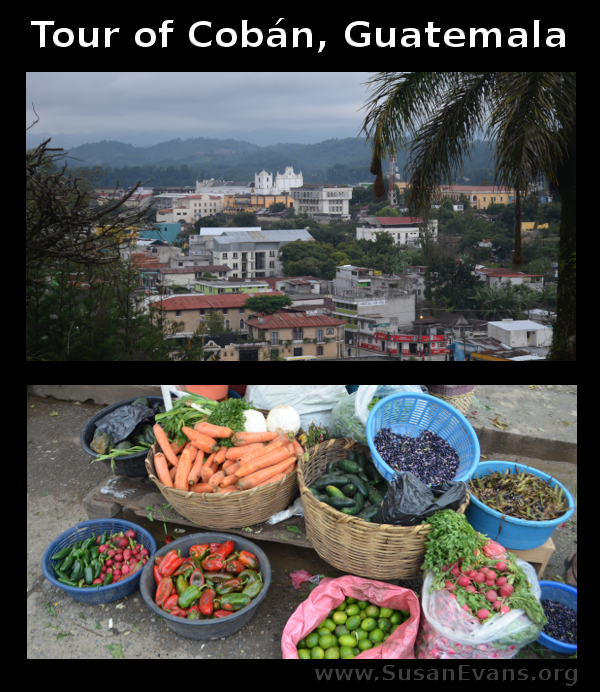 My family went on a tour of Cobán, Guatemala by complete coincidence, since our original plan was to go to the location of my boarding school in Huehuetenango. There were mud slides blocking the roads, making the way dangerous, so we decided not to go to Huehue. Good thing, because the next day, there was a large earthquake there that killed at least a dozen people. 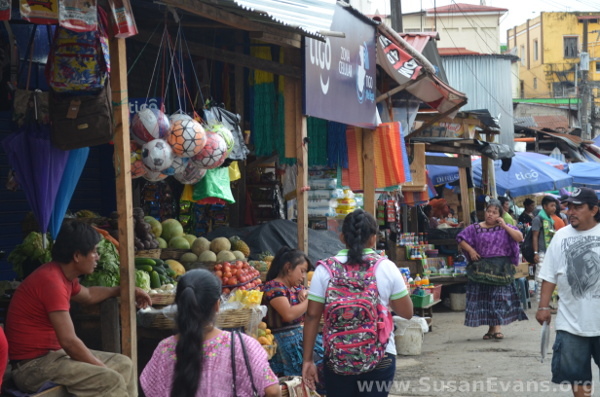 When we arrived in Cobán, we saw that it was a lively city with a busting market. People didn’t even bother getting out of the street for the traffic, as you can see in the video. 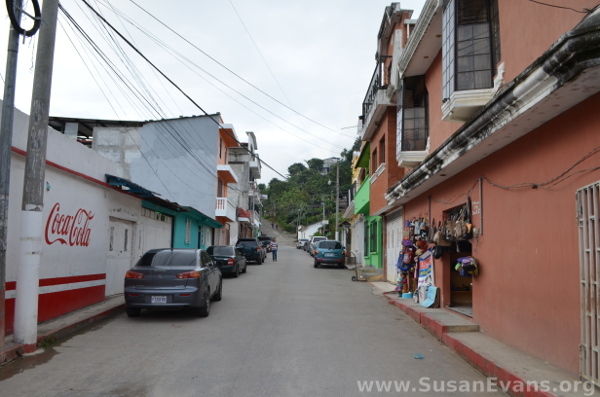 I had never been to Cobán, so we had to ask what the main sights were. The hotel people told us that the Spanish church with lots of steps overlooks the city and is a beautiful place to go. As I walked down normal streets, I was reminded of my childhood, since the Latin flavor of the surroundings is so nostalgic to me. 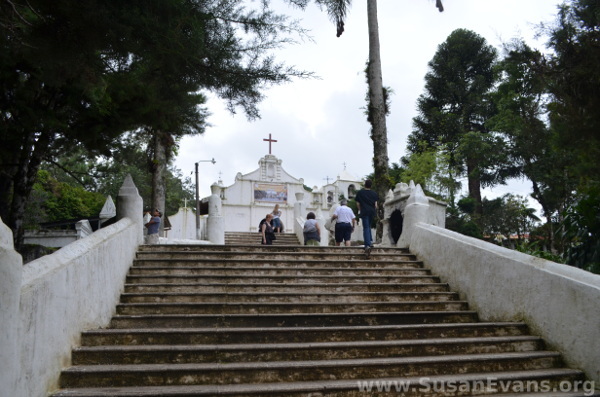 There were a LOT of steps to the top of the hill where the Spanish-style church is located. It’s great for exercise after being in the car for many hours, since we had just driven from Peten. And this is the view at the top of the steps! The video shows you a short tour of the medieval-style Spanish hotel where we stayed. For some reason we didn’t take any pictures of the hotel. It had a courtyard in the middle, reminding me of where I used to go on retreats with my Pioneer Girls group, growing up. 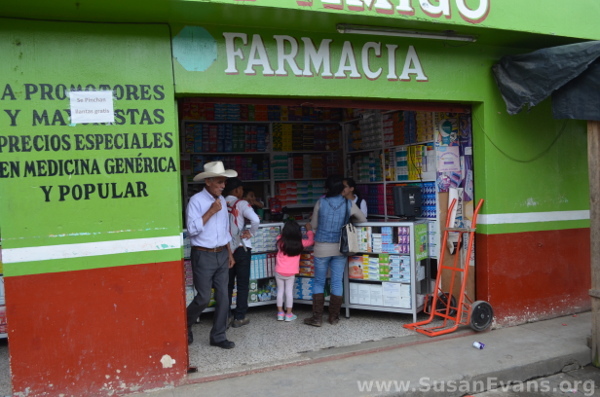 I hope you enjoyed our tour of Cobán, Guatemala. Stay tuned for our coffee plantation zipline tour, coming up next! If you don’t want to miss any posts in my Guatemala Adventure series, follow my Missionary Kid page! 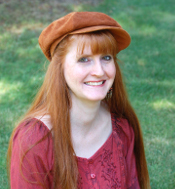 This entry was posted on Monday, July 24th, 2017 at 8:00 am	and is filed under Travel. You can follow any responses to this entry through the RSS 2.0 feed. You can skip to the end and leave a response. Pinging is currently not allowed. Thanking the Lord that you didn’t drive into the river. I love your visual picture of your entire trip! I’m glad you’re enjoying the series! I love the pics of everyday life there. So do I! 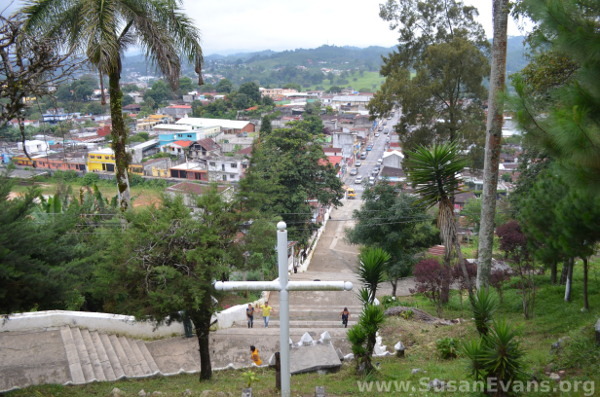 I miss living in Guatemala! What a beautiful church and I love that everyone said that was the place to visit! What an incredible adventure. Thanks for taking us with you! I love the architecture of Spanish churches. What a beautiful bee from the top ! Its so good to see how other cultures live. I would love to experience it like you do… such a great perspective shifter as you see God’s beauty and share his love around the world! I definitely see things from a different perspective, now that I’m between cultures.